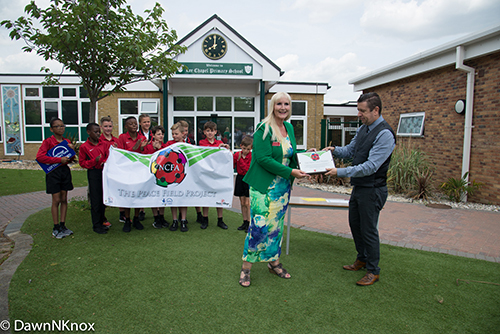 Lee Chapel Primary School receive their Peace Field Project Plaque and sign, their Declaration to Peace, which officially twins their designated area of play with Flanders Peace Field, Messines, Belgium, site of the First World War 1914 Christmas Truces. 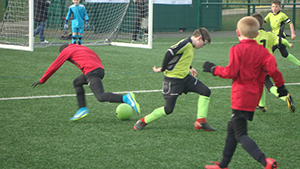 Organised by Forget Never – Sacrifice and Legacy, Project Manager, Bob Sheridan; The Peace Field Project (PFP) kicked off a series of events that will see Lee Chapel Primary School twin the designated area of play with Flanders Peace Field, site of the 1914 First World War Christmas Truces. 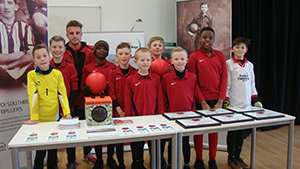 A PFP introduction to the Lee Chapel Primary School pupils was presented by Ernie Brennan, CEO, The NCFA.